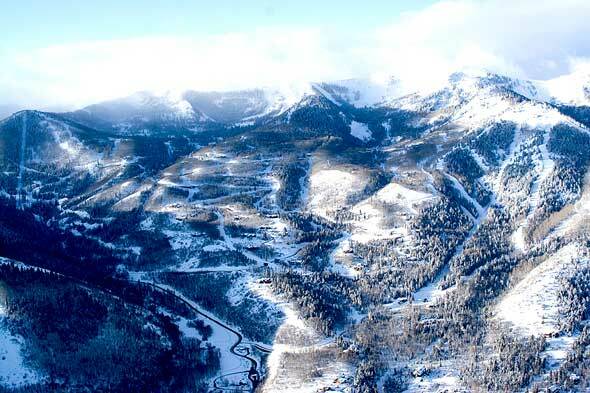 Canyons is the largest single ski and snowboard resort in Utah and one of the five largest in the U.S.
300 new acres of skiable terrain, enhanced resort village, first heated seat orange bubble lift in North America and plenty of restaurants. Click, Drag & Drop Gold Person Icon for Panoramic View. It’s Fun! Soldier Hollow in Wasatch Mountain State Park near Midway offers the longest tubing lanes in Utah. The hill has lengthy 1,200-foot sliding lanes with lift service for towing people up the hill for tubing day or night under the lights, and a sound system keeps the airwaves full of enjoyable tunes. In addition to the longest tubing lanes and beautifully manicured cross-country ski trails Soldier Hollow hosts a variety of activities throughout the fall, spring and summer. Athletes of world-class ability and weekend recreationists enjoy the facility on a year-round basis. To assure a quality experience, Soldier Hollow limits the sale of tubing tickets. On Saturdays and busy holidays, in particular, we encourage pre-purchase of tubing hill tickets. Tickets can be purchased in advance with a credit card at 435.654.2002 or in person at the Lodge. The tubing hill is open from December 18 to March 20. Saturdays and holiday periods 10 a.m. – 8 p.m.
Monday through Friday non holiday noon – 8 p.m.
Sunday noon – 4 p.m. Tubing admission for anyone age 7 and above is $20 for a two hour session. 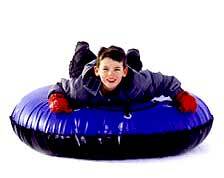 Tubing for age 3-6 is $10. (Age three is our minimum age to ride the lift, but we do offer free tube use on a small slope, with parental supervision, for those under 3). Single rides are also available for $5 for 7 and older and $3 for ages 3-6. All rates include tube use and lift ride. Click, Drag & Drop the little Gold Person for Panoramic View. It’s Fun! Mount Ogden Park is reservable and offers lots of green shady spots for picnics and plenty of grassy area for field games. It offers a large picnic shelter with barbecue grill in addition to individual tables. Soccer fields with goal posts and off street parking is available. This park has a newer wood chip filled playground and is a good place for group picnics. Sleigh riding, snow boarding, tubing and cross country skiing are popular on the neighboring golf course. Restroom facilities and drinking water are also available. With the Mt. Ogden Golf Course right next door, make this your picnic stop after the company scramble. Park includes tennis courts and a small gazebo. ….Click, Drag & Drop Gold Person (top left corner) for Panoramic View. It’s Fun! ………………Click, Drag & Drop Gold Person (top left corner) for Panoramic View. It’s Fun! During the winter season at Jolley’s Ranch, you can enjoy the beauty and fun of winter sports without having to go to a big resort. You will find nearly five miles of groomed trails for cross-country skiing and snowshoeing, a tubing and sledding hill, and parking areas for snowmobilers. Ski and snowshoe equipment is available for rent, along with tubes for the tubing hill. There are heated restrooms and a warming shelter. Season passes and group discounts are available.